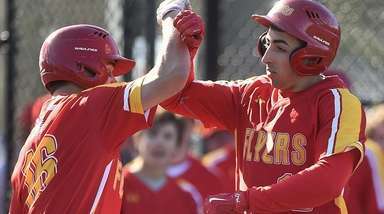 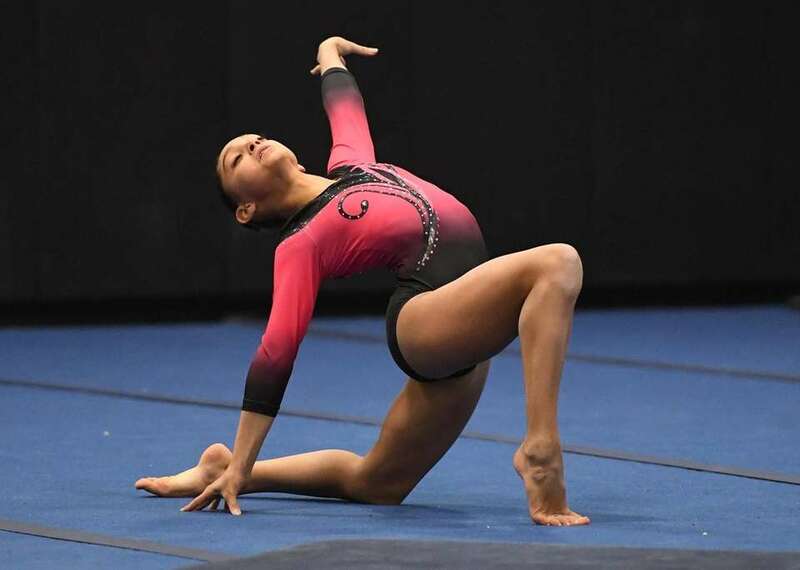 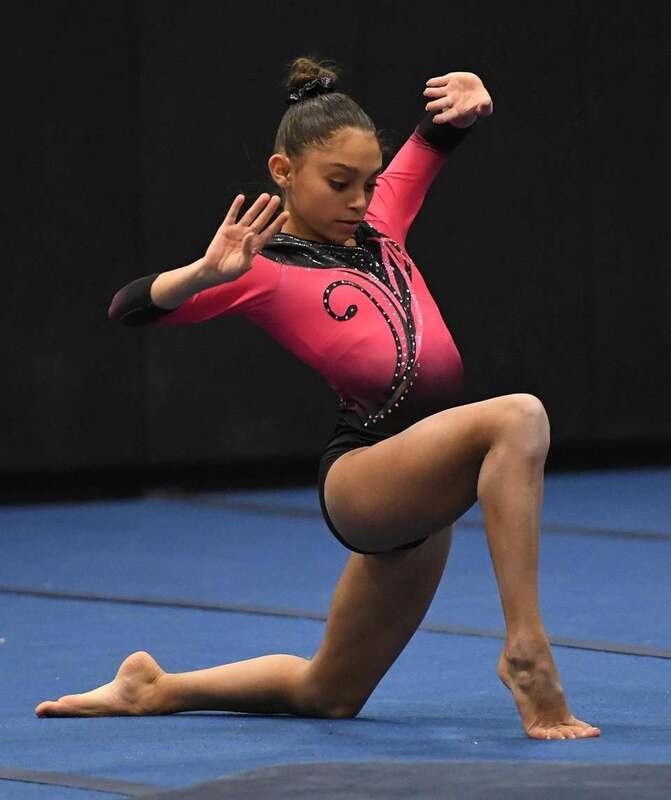 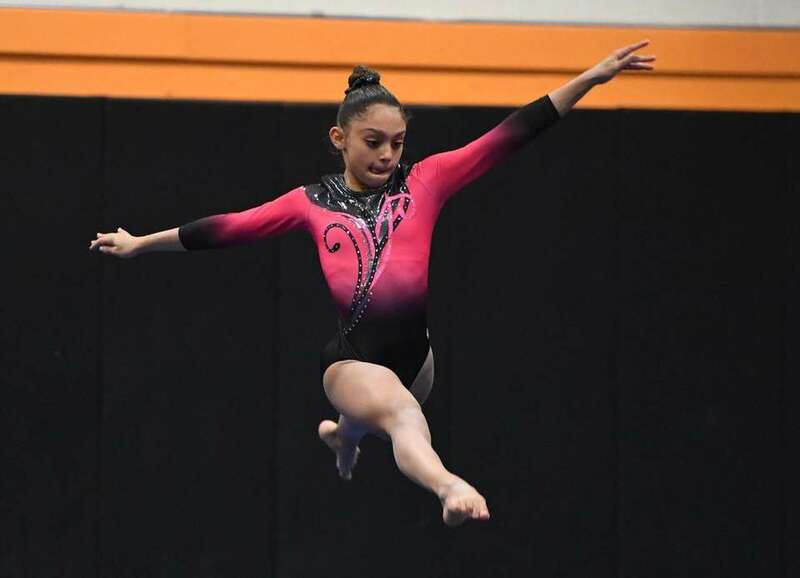 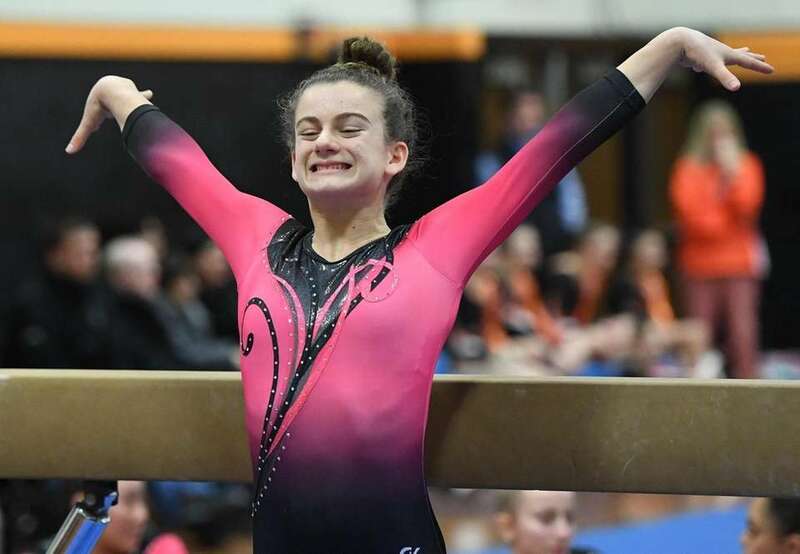 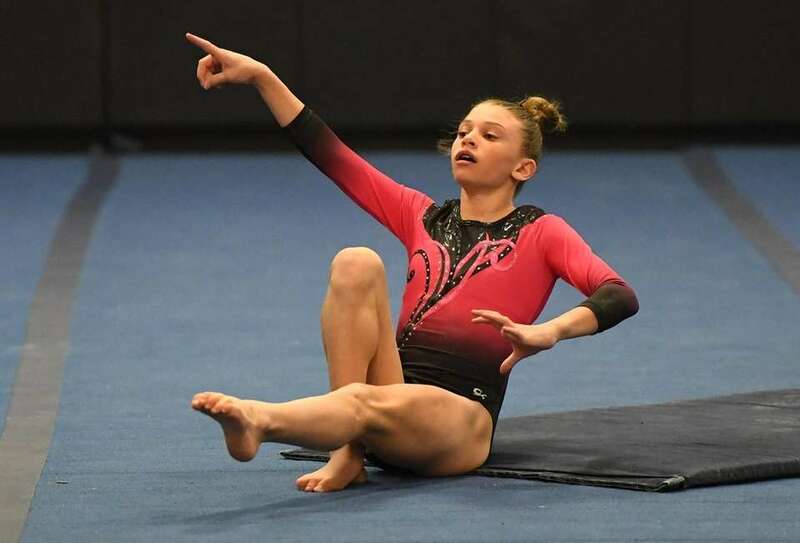 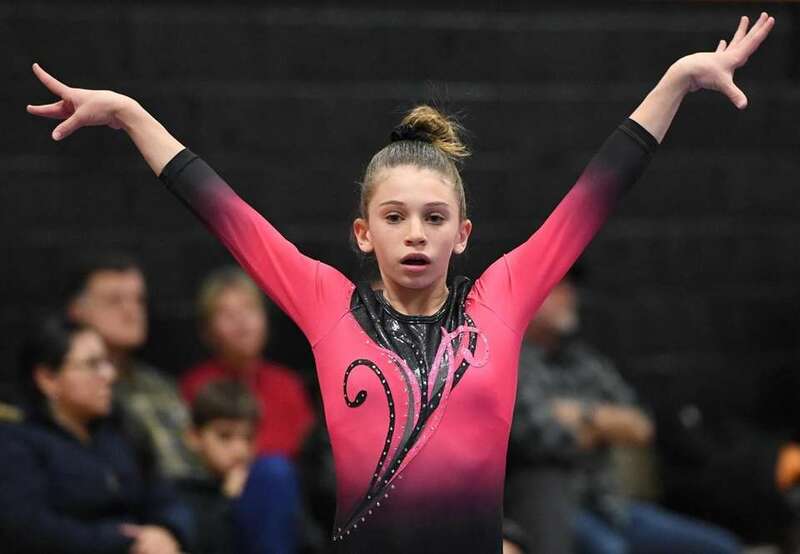 Syosset defeated Hicksville in a gymnastics meet on Monday, Jan. 14, 2019, at Hicksville High School. 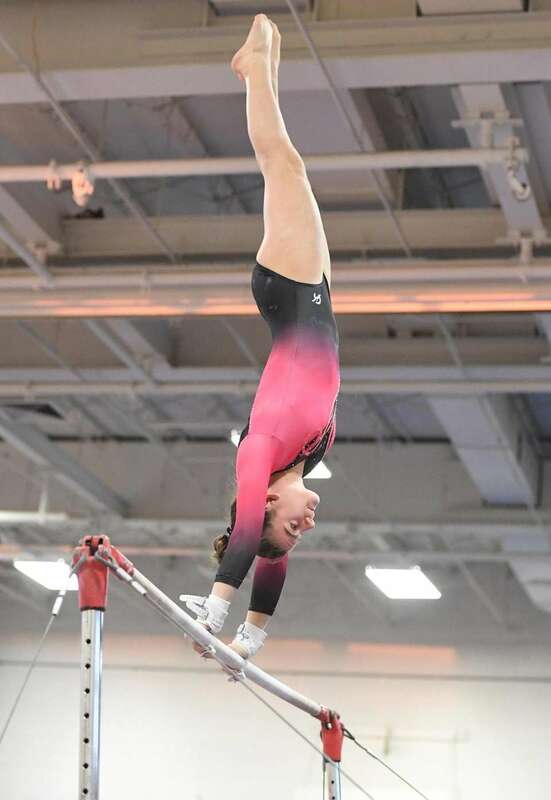 Syosset's Allie Jacobs dismounts from the uneven bars during a girls gymnastics meet against Hicksville on Monday, Jan. 14, 2019. 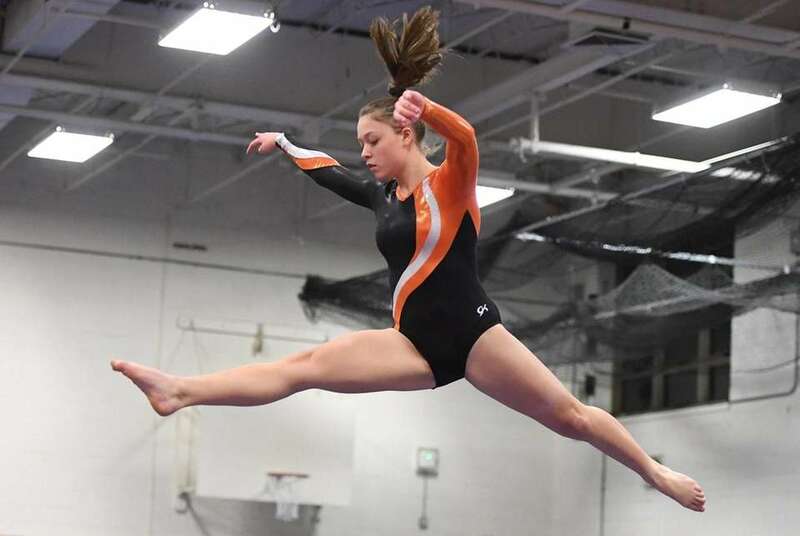 Syosset's Allie Jacobs competes on the balance beam against Hicksville during a girls gymnastics meet on Monday, Jan. 14, 2019. 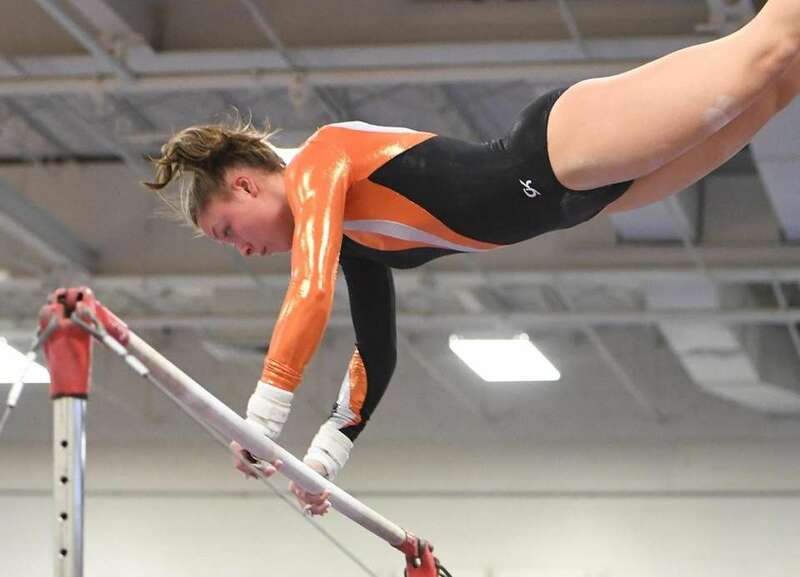 Syosset's Rebecca Millevoi competes on the uneven bars against Hicksville during a girls gymnastics meet on Monday, Jan. 14, 2019. 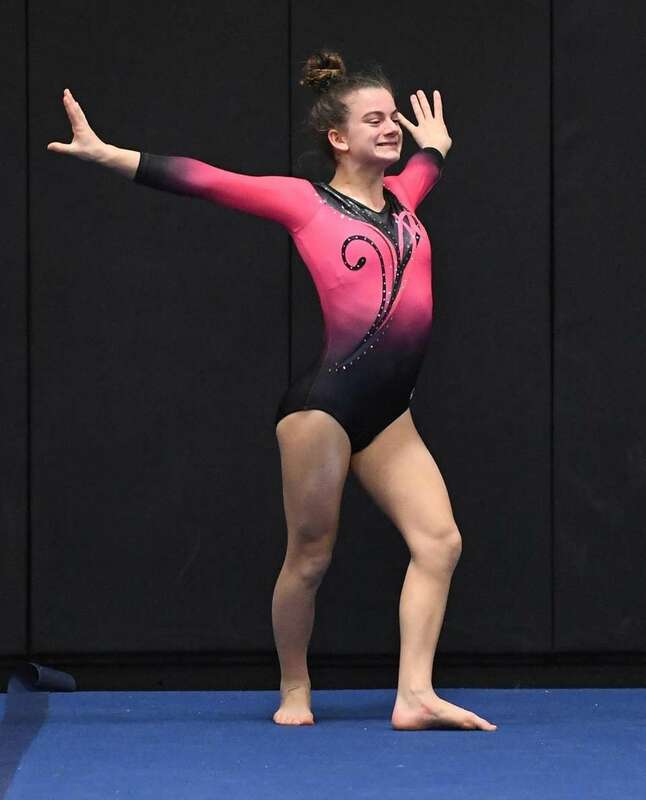 Syosset's Jenna Kolberg dismounts from the uneven bars during a girls gymnastics meet against Hicksville on Monday, Jan. 14, 2019. 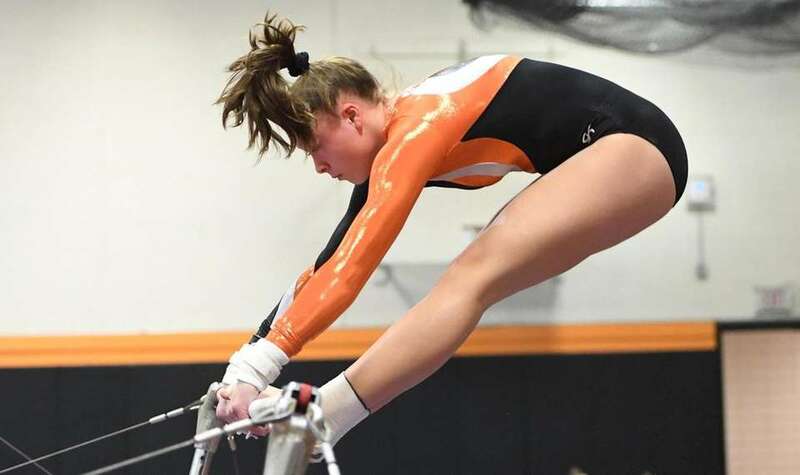 Hicksville's Kayla Corbett dismounts from the uneven bars against Syosset during a girls gymnastics meet on Monday, Jan. 14, 2019. 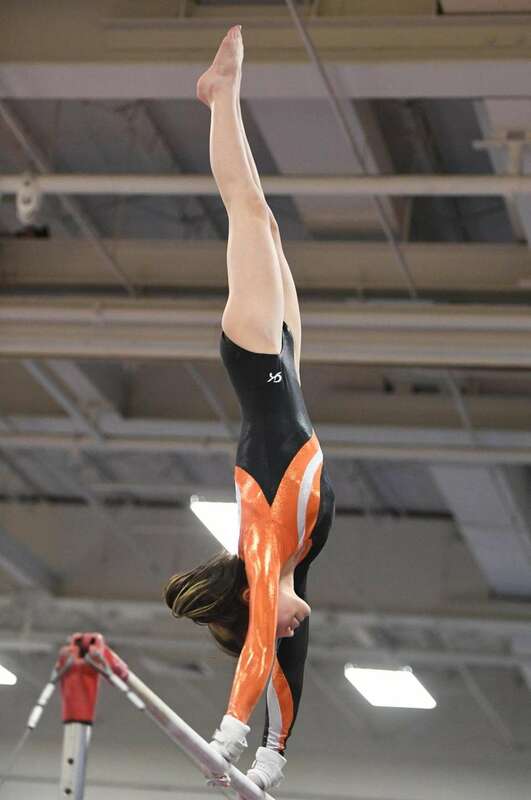 Hicksville's Kayla Corbett competes on the uneven bars against Syosset during a girls gymnastics meet on Monday, Jan. 14, 2019. 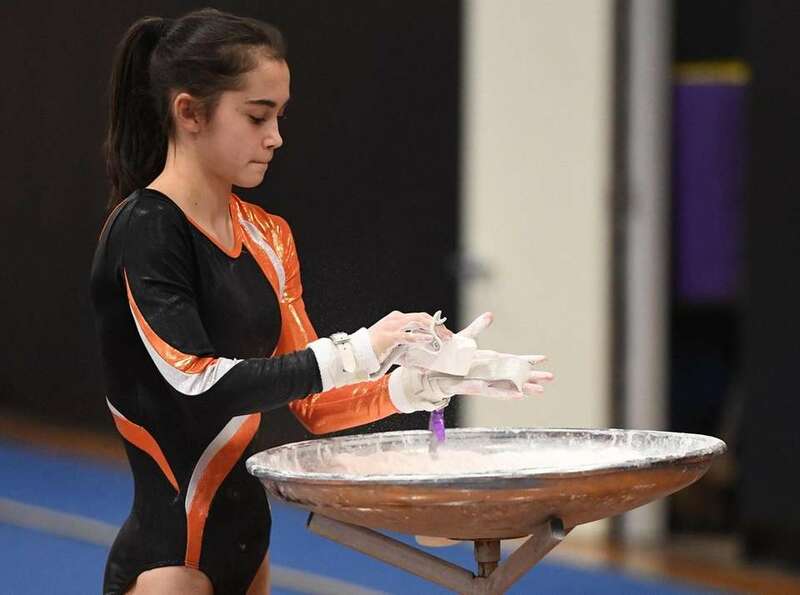 Hicksville's Isabel Sullivan chalks her hands for the uneven bars event against Syosset during a girls gymnastics meet on Monday, Jan. 14, 2019. 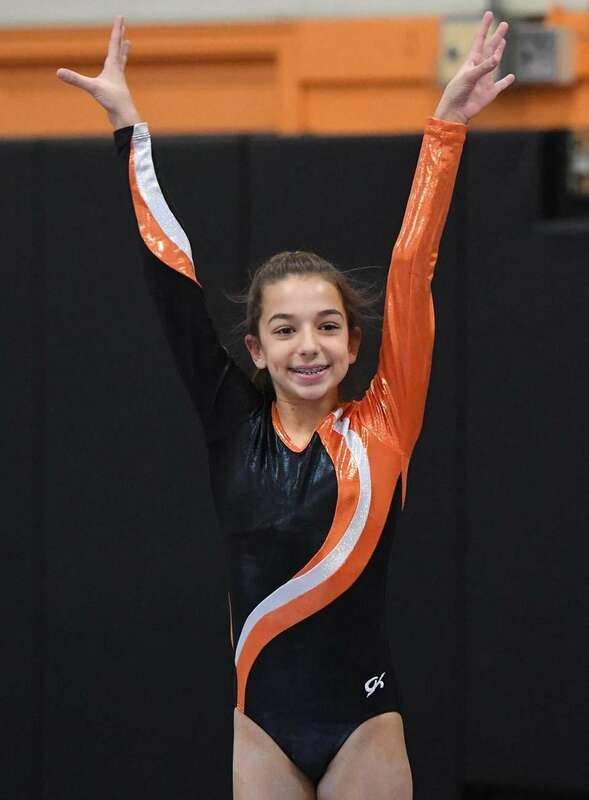 Hicksville's Carly Seiden competes on the balance beam against Syosset during a girls gymnastics meet on Monday, Jan. 14, 2019. 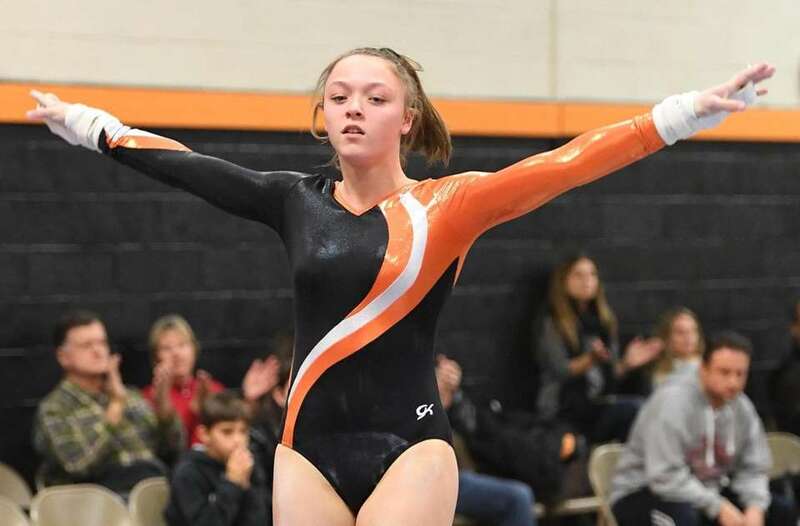 Hicksville's Sydney Matthis competes on the balance beam against Syosset during a girls gymnastics meet on Monday, Jan. 14, 2019. 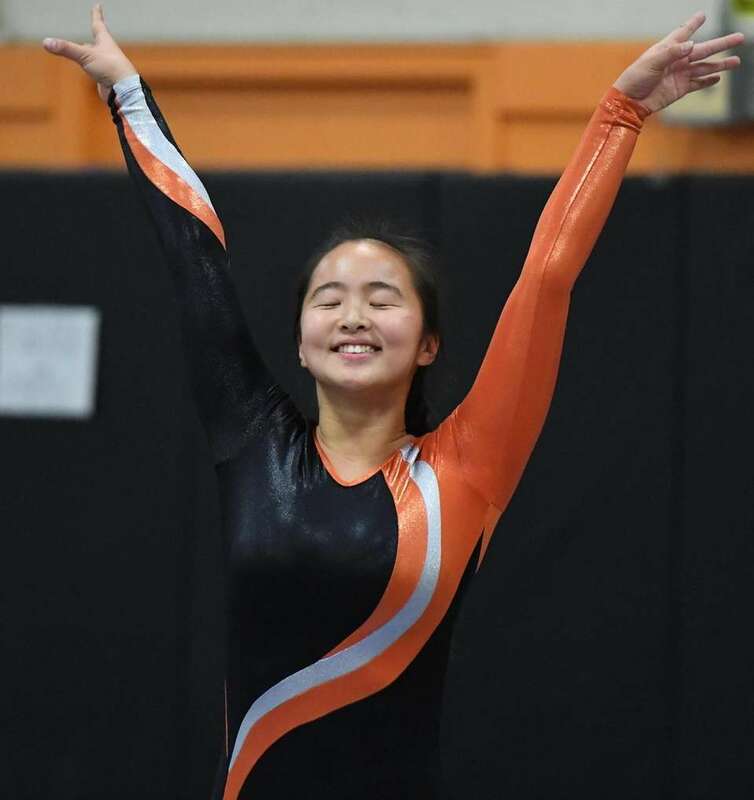 Hicksville's Isabel Sullivan competes on the uneven bars against Syosset during a girls gymnastics meet on Monday, Jan. 14, 2019. 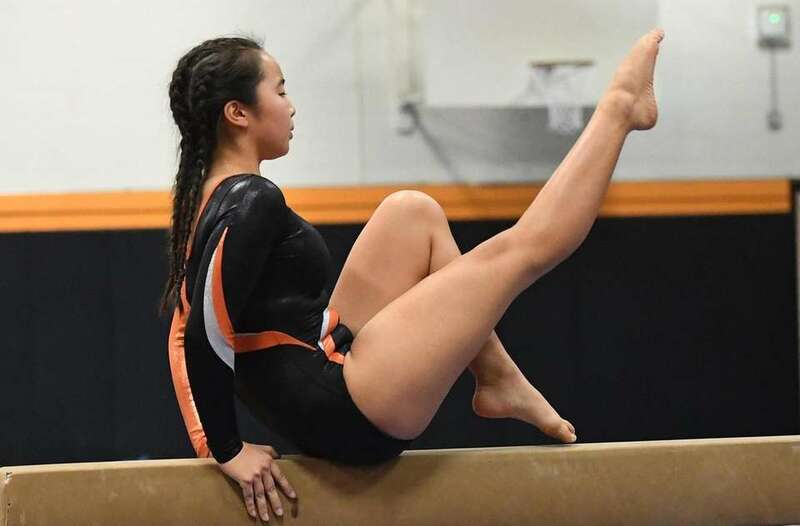 Hicksville's Natalie Yuge competes on the balance beam against Syosset during a girls gymnastics meet on Monday, Jan. 14, 2019. 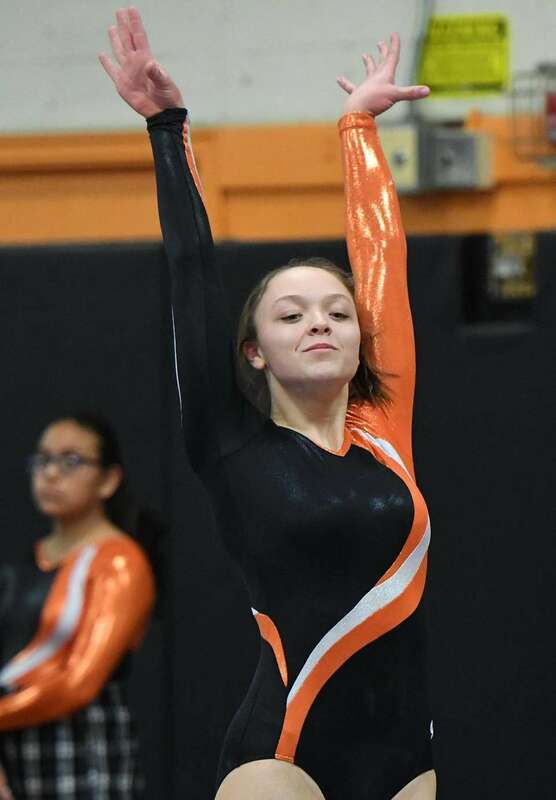 Syosset's Rebecca Millevoi competes in the floor exercise against Hicksville during a girls gymnastics meet on Monday, Jan. 14, 2019. 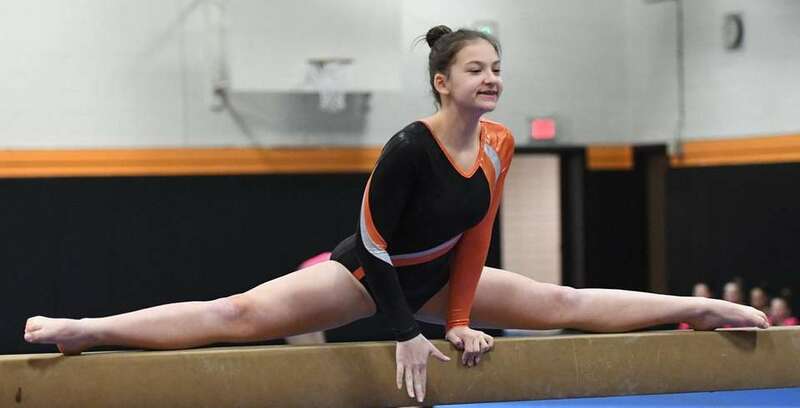 Hicksville's Kayla Corbett competes on the balance beam against Syosset during a girls gymnastics meet on Monday, Jan. 14, 2019. 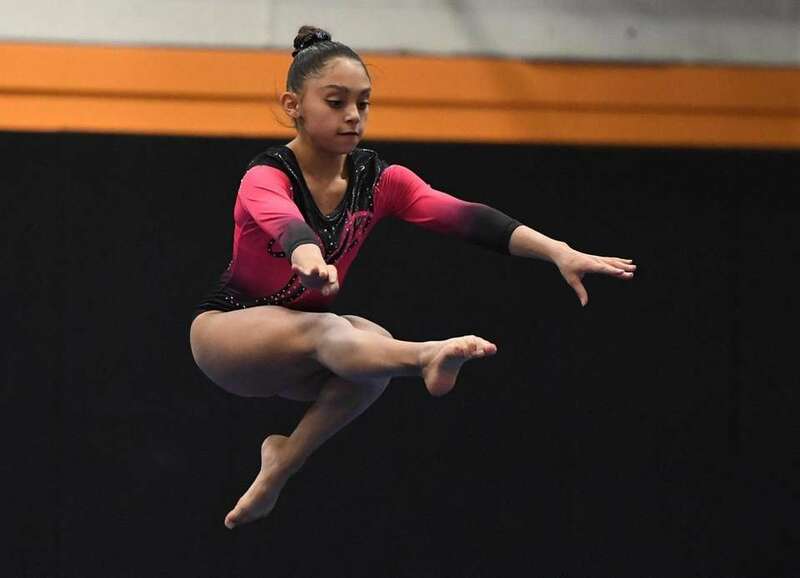 Hicksville's Kayla Corbett competes in the balance beam event against Syosset during a girls gymnastics meet on Monday, Jan. 14, 2019. 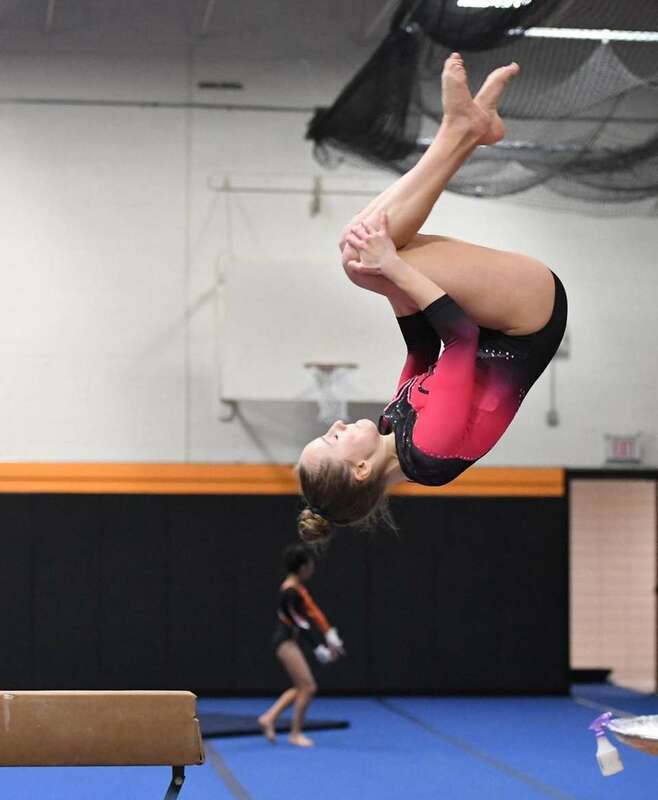 Syosset's Allie Jacobs competes in the floor exercise against Hicksville during a girls gymnastics meet on Monday, Jan. 14, 2019. 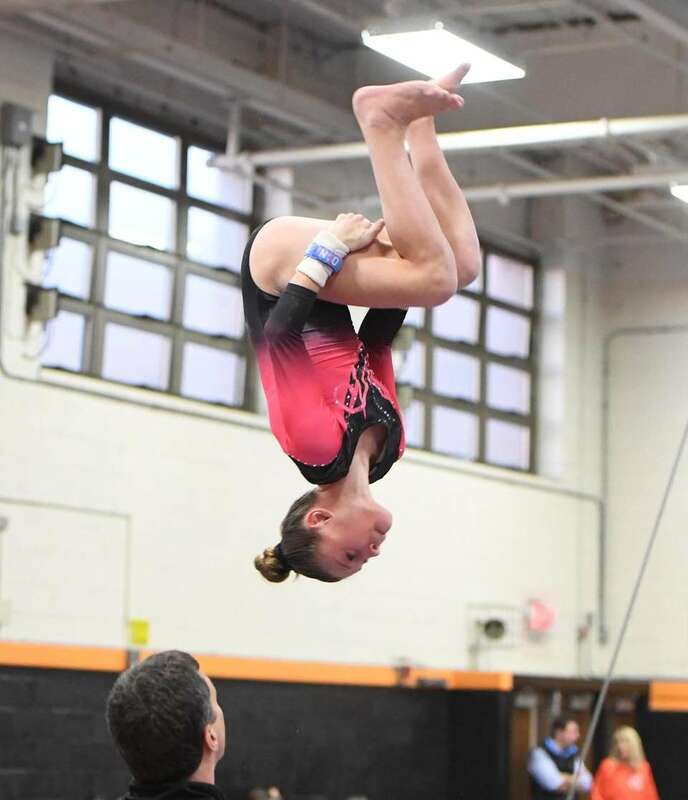 Syosset's Jenna Kolberg competes in the floor exercise against Hicksville during a girls gymnastics meet on Monday, Jan. 14, 2019. 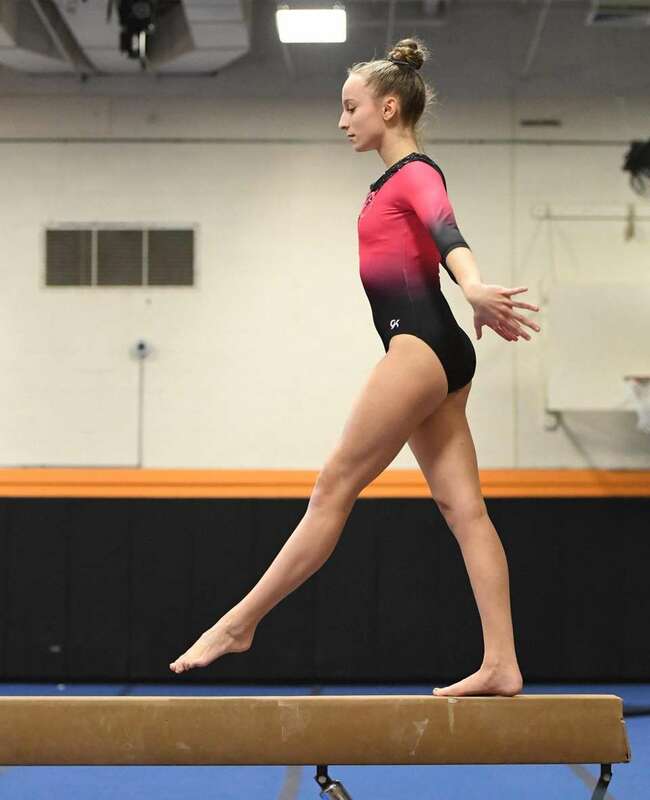 Syosset's Olivia Donach competes on the balance beam against Hicksville during a girls gymnastics meet on Monday, Jan. 14, 2019. 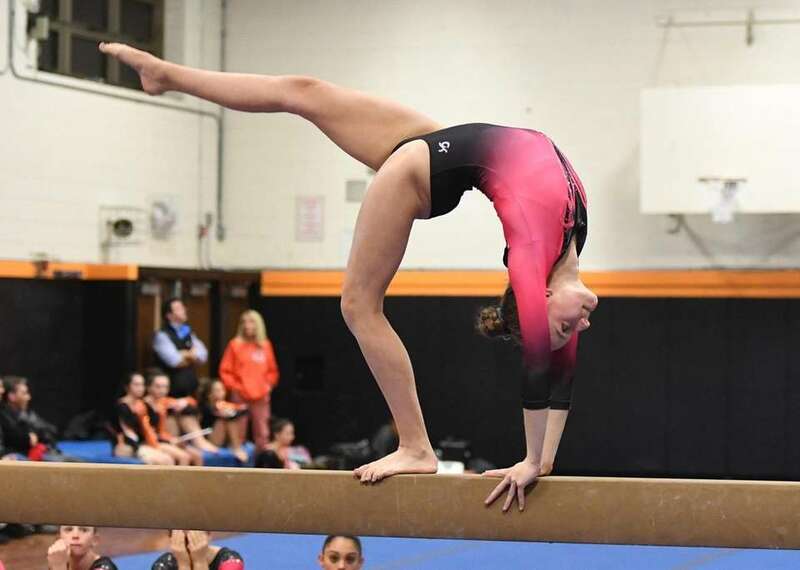 Syosset's Olivia Donach dismounts from the balance beam against Hicksville during a girls gymnastics meet on Monday, Jan. 14, 2019. 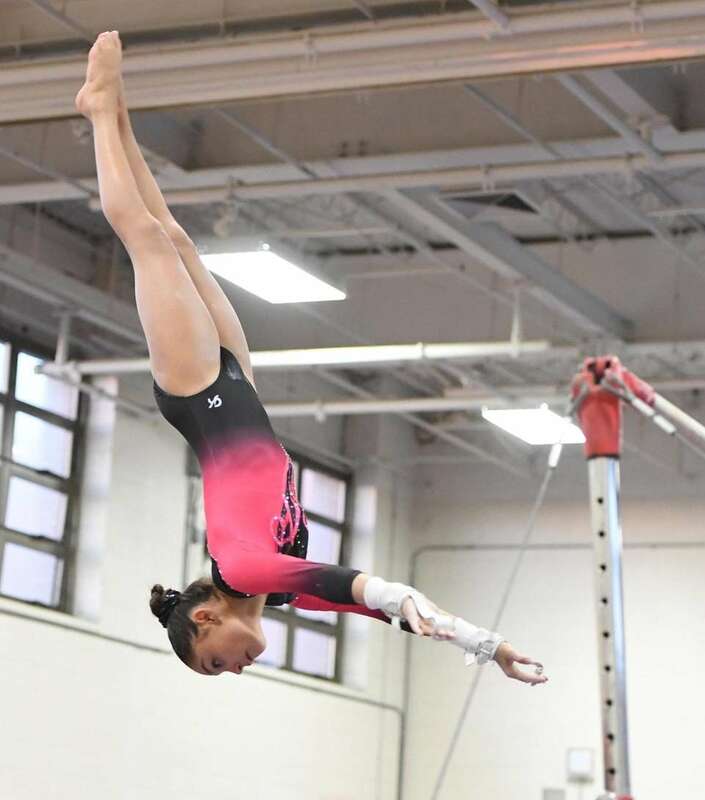 Syosset's Rebecca Millevoi competes on the balance beam against Hicksville during a girls gymnastics meet on Monday, Jan. 14, 2019. 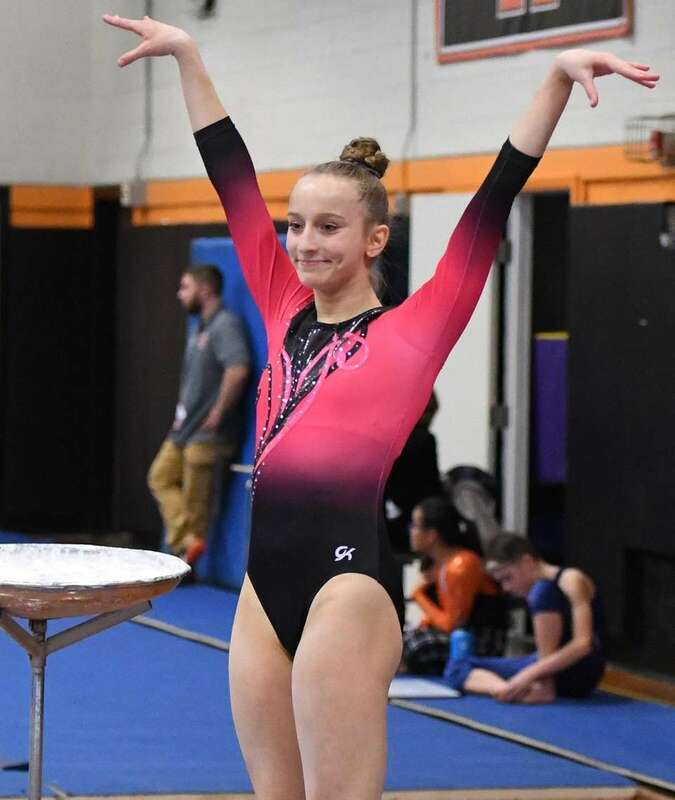 Syosset's Olivia Donach lands her routine on the balance beam against Hicksville during a girls gymnastics meet on Monday, Jan. 14, 2019.